From the 19th to the 22nd of June the Australian Local Government Association (ALGA) will hold its national conference. The ALGA recently put out a call for motions to be proposed and debated at this year’s National General Assembly of Local Government (NGA). Through the support of the City of Whittlesea, Welcoming Cities has submitted a motion for consideration. 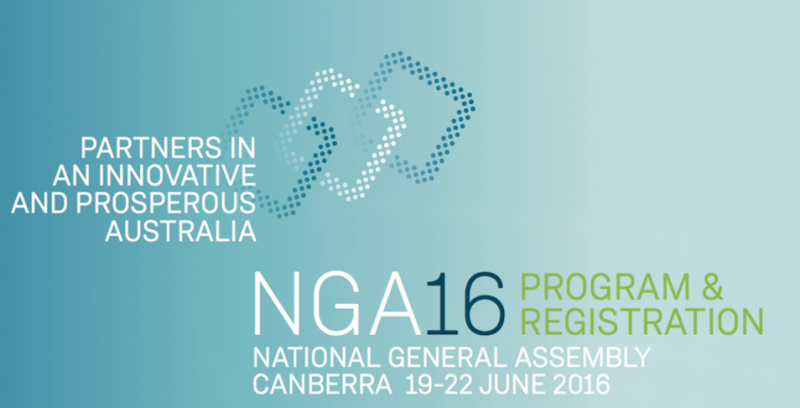 Under the theme Partners in an Innovative and Prosperous Australia, delegates at the 2016 NGA will consider the many ways local governments are demonstrating innovation both locally and overseas. The Welcoming Cities network is an innovative and collaborative approach to addressing the challenges and opportunities of migration. While migration policy is set at the national level, support for newly arrived migrants, especially regarding bridging cultural and social barriers is left to the local community and Councils to resolve. Cities and municipalities that proactively foster an environment of belonging and participation for receiving communities, as well as new and emerging communities, increase their social cohesion and economic capability and resilience. That this National General Assembly supports the “Welcoming Cities” initiative launched by the Scanlon Foundation and Welcome to Australia organisations on 9 March 2016 to support local councils to work together to create more inclusive communities. Welcoming Cities considers the in principle support of the NGA an important endorsement of our commitment to offering the Australian local government sector a national sectoral framework and strategy to embracing cultural diversity.